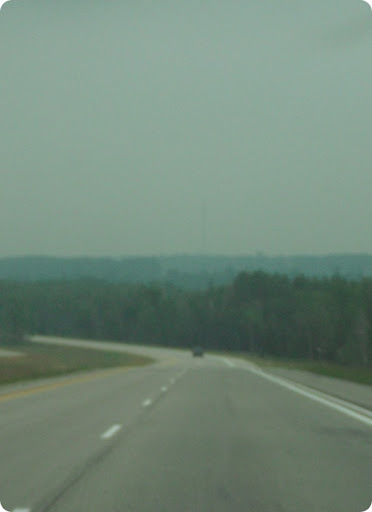 This week I took a road trip for work to Mackinaw City. The drive up started out dreary and rainy, but by afternoon we had beautiful weather to enjoy. 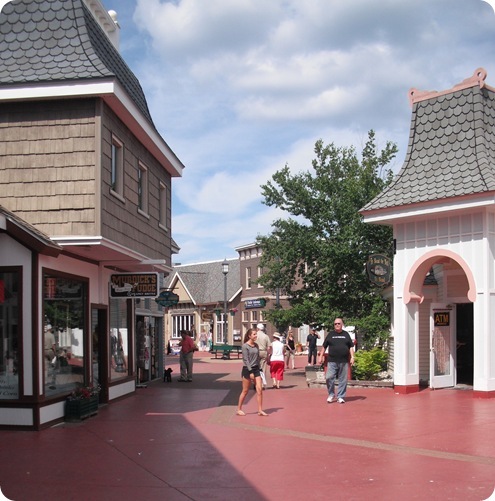 Mackinaw City has a great little shopping district with all sorts of shops to browse thru for summer tourists. I took some time before heading home to do a little browsing myself. I really didn’t buy a whole lot except some fresh cherries for me to snack on for my drive home. 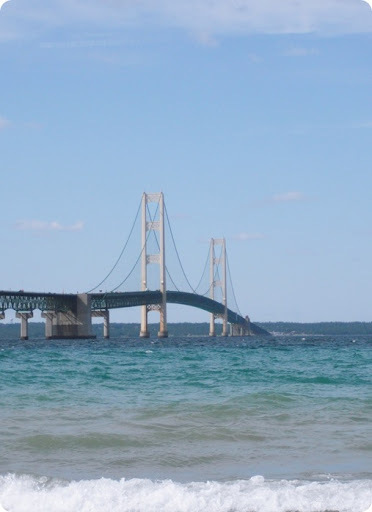 I of course had to stop at Michilimackinac State Park to take a few photos of the Mackinac Bridge and lighthouse. I love our great state of Michigan! I love our small beach towns along the Great Lakes. I love the feel and beauty of the lakes! The scenery is amazingly beautiful and there is so much to see and do! 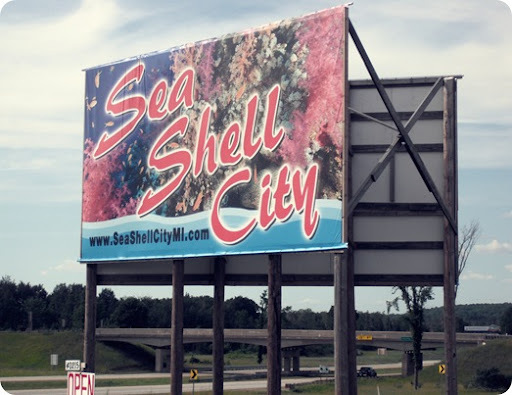 Another stop I made was Sea Shell City. 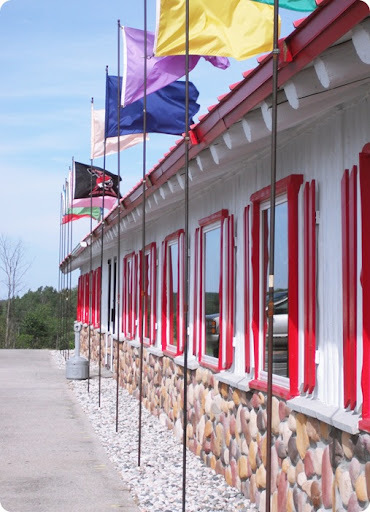 I had been by the shop many times on my way to the Upper Peninsula, but had never stopped there before. My curiosity got the best of me this time. 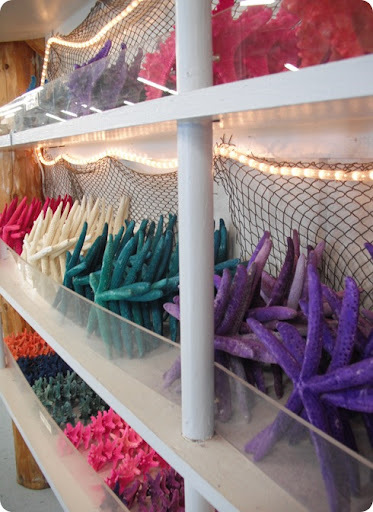 It was a very cute nautical, beachy inspired shop. 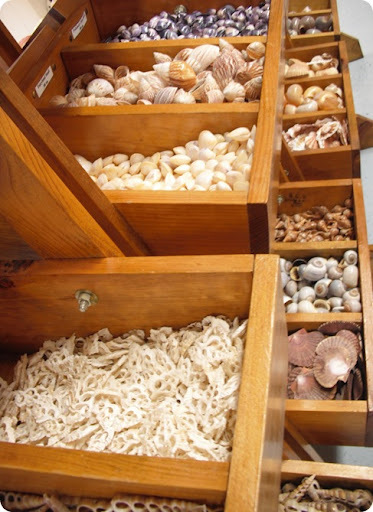 Lots & lots to look at. 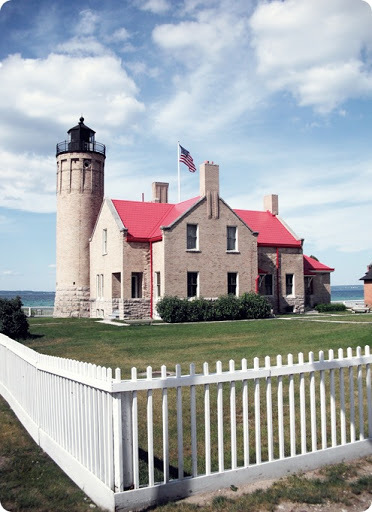 Never even heard of Mackinaw City, haha, but these pictures are so cool!!! Visiting via FTLOB. Lovely pictures and colors – looks like a great weekend stop. It sure makes me miss the US! I love Mackinaw City!! Michigan's waters are amazing, aren't they? I just took my visiting parents to Marysville to eat at Junction Buoy on the St. Clair River! Beautiful! You took amazing photos. I love the pic with the colorful sea stars! Hey we might as well be considered bloggy neighbors! :) Im in NY but thats just a long carride from you in MI. We have many friends there. 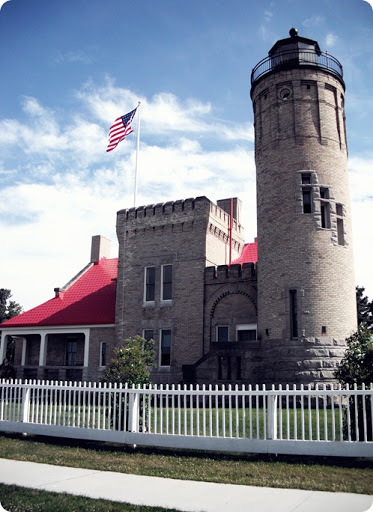 Funny, I just blogged about lighthouses and beaches too! *Found you through the Life Made Lovely link up today. I visited your blog today. I thought it was so charming – very colorful. Your photos are so unique and full of life! I love the Audrey Hepburn quote. Me and my daughters just started a new blog, and we would love it if you could visit us and follow. I would really enjoy coming back to visit with you and seeing all your creative, fabulous ideas. Hope to hear from you, and have a sweet day.